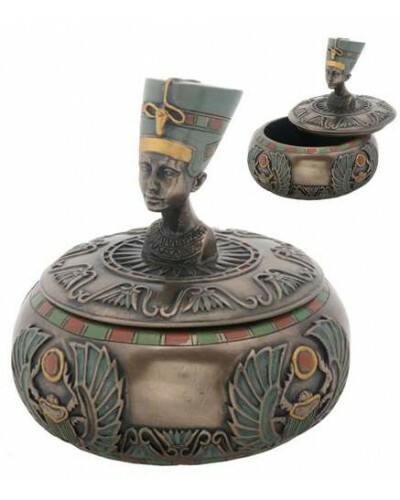 Surrounded by symbols of Ancient Egypt, Nefertiti, the famous Egyptian Queen, guards your treasures within. 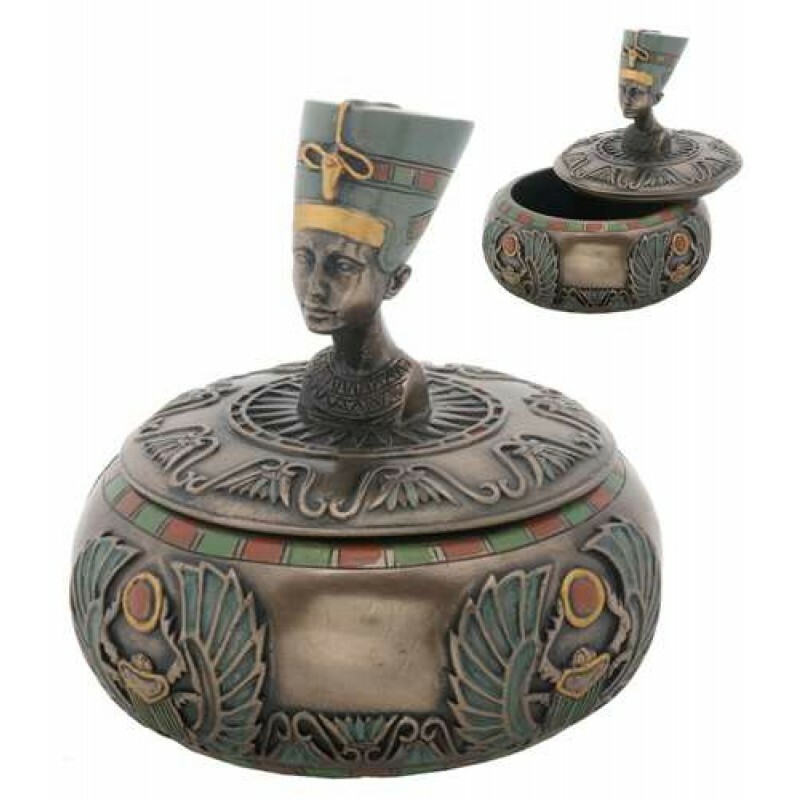 Beautifully detailed Nefertiti trinket box sits upon a round trinket box with lift off lid and hand colored Egyptain symbols including Ankhs, Eye of Horus, Scarabs, and Winged Sun Discs. Box is cold cast resin 4 inches in diameter and 4 inches high. 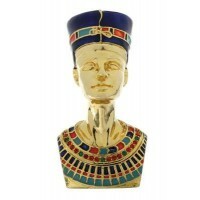 Item Number: YT-8264 | Approximate Size (Inches): 4.00 wide x 4.00 deep x 4.00 high | Approximate Shipping Weight: 1.25 lbs. 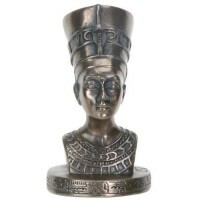 Nefertiti means "the Beautiful one is Come". 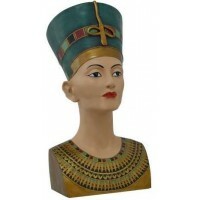 The bust of painted limestone ..
Nefertiti was the daughter of a high dignitary of the Pharaoh's court. She ..